Okay, we know what you’re thinking… why is there a floatie around the baby’s neck? Well, rest assured, it’s supposed to be there… and parents and babies think it’s awesome. The Otteroo is the latest in swim gear and a must-try this summer. 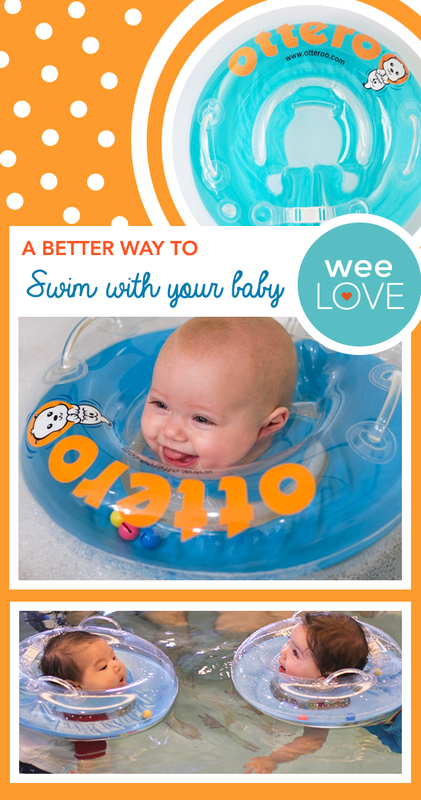 From bath time to pool adventures, this baby floatie helps babies from eight weeks and beyond safely explore the water and their new-found mobility. When they’re just discovering their arms and legs, it’s especially exciting. The design is all about comfort, featuring a cushioned chin rest, rounded smooth edges and circular openings for quick water drainage. Made with toxin-free plastic, no harsh smell or chemicals will get in the way of a great swim. Plus, an Otteroo helps your little one adjust to the water at an early age. Pro tip: clear enough space on your phone’s camera roll first to capture the off-the-charts cuteness. ATTENTION OTTEROO OWNERS: If you purchased an otteroo floatie in 2014, please contact otteroo here regarding a complimentary replacement or refund. Due to a small number of reports that the device is deflating, they are voluntarily recalling and replacing any 2014 models. MORE BABY GEAR GUIDES COMING SOON!